Multiplexer is an ASI/TS (transport stream) re-multiplexer, supporting 8×ASI input (input TS bit rate can reach up to 270Mbps), and ASI output (TS bit rate can reach up to 160Mbps). It can also insert EPG (Electronic Program Guide), CA (Conditional Access), and data broadcasting into output stream. It suits 1U rack and can be configured by front panel LCD and NMS (network management software). 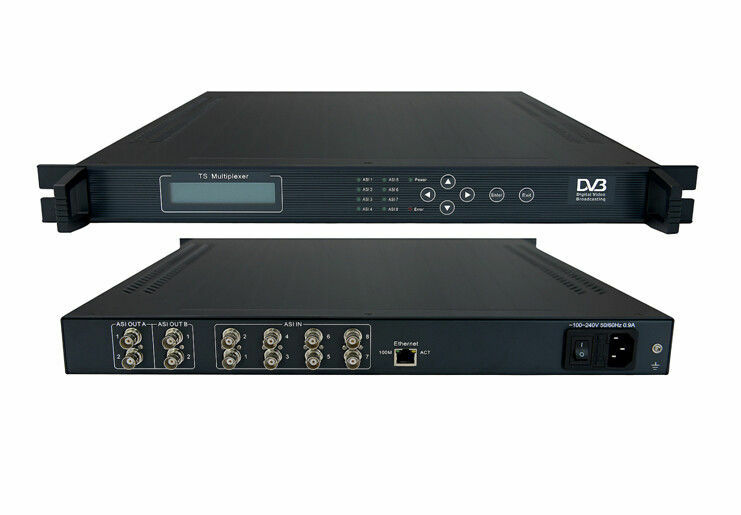 Its high-integrated and cost-effective design makes it widely used in varieties of digital broadcasting distribution systems. Keywords: ASI multiplexer , TS multiplexer, TV headend equipment , encoder, decoder.